As the bride walked down the aisle, her adorable kitten decided to be apart of her special day! Wedding crashers have never been so adorable! 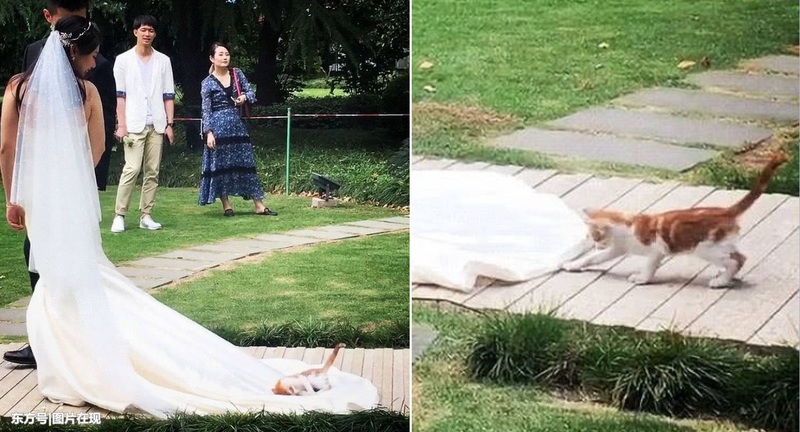 The happy couple and the entire wedding party got a kick out of the playful kitten, and applauded and took out their phones to capture the adorable moment.